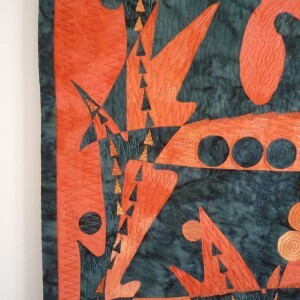 Jo’s quilt, ‘The Pearl Divers boat’, was made in response to The Quilters’ Guild 30th Anniversary challenge; using her counter-change technique which she describes in detail. 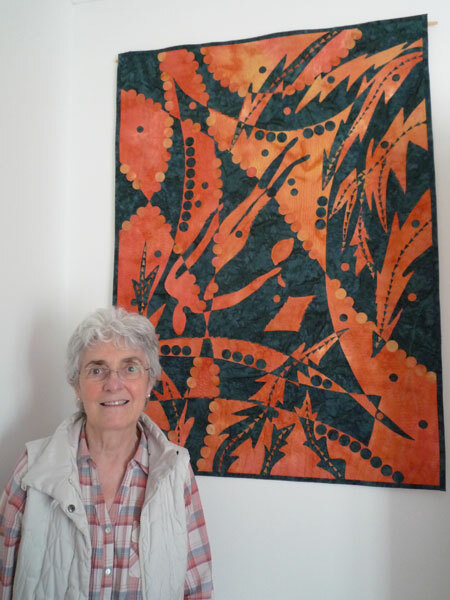 She describes how she got into quiltmaking just before retiring and how she continues to learn as she has moved from Kent to Cornwall to Scotland, and later how she hopes to use technology more in her quilt design research. Jo trained with The Guild to become a quilt judge and talks about how this has influenced how she works on her own quilts and how looks at others’ quilts. She also discusses hand vs machine vs longarm quilting. 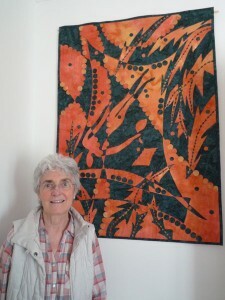 Barbara Gregor [BG]: Hello Jo, thank you for agreeing to be interviewed for the Quilters’ Guild Talking Quilts Project. You have your touchstone object here today called the Pearl Diver’s Boat. Can you tell me about your quilt please and why you made it? Jo Rednall [JR]: Yes, nice to meet you Barbara. Okay, this is a quilt, but I think it’s a wall-hanging as such, because it is not a comforter or a traditional quilt you put on the bed. It’s a hanging that has to be on the wall, it has to be looked at, enjoyed for decoration purposes really, or even looked at and discussed with various people. I made it in 2009. I’d have to just go and look at the label to confirm that. BG: Okay by all means, by all means. JR: Hang on a second. [Pause] Yes that’s right, I made it in 2009. It was The Quilters’ Guild 30th anniversary and 30 years anniversary is for pearls so their theme was Pearls, Pearls, Pearls and they were going to have I think it was one of their first exhibitions that they had started as a kind of competition to get as many people as possible to enter and they were going to have it in the Quilt Museum in York which they had just taken over, and it is a beautiful museum. It’s like an old barn with lots of beams and things and a really lovely place to hang a quilt, so it was going to hang there if it got through. So I thought, their theme was Pearls, Pearls, Pearls which is rather a lot of pearls and I didn’t actually want to do pearls cos pearls are pearly looking and quite difficult to think how you would represent them. So I thought about pearl divers and I thought well I’ll just do a boat. So I made the quilt with just the sail and the boat-like base which is like a canoe I suppose, and put the pearl diver as a figure on the sail with his little bag. Shall I… oh, it is made of cotton, two different types of cotton. One of them is orange and one is a dark green. I chose the two colours cos I wanted them to contrast really well with one another. The orange fabric is made, it was not made it was dyed by a girl in New Zealand called Nicky Atts has her own method of dyeing I don’t know how she does it but there are some very dark patches some light patches in it, going from a sort of deep orange into a very pale yellow and so you can cut the fabric and use it really well to show these distinctions. So that was one fabric and the other fabric is a commercial batik. It is a dark green with bits of black in it. I think it is a contemporary wall-hanging. I think contemporary because of the way it is made. I use a counter-change technique. 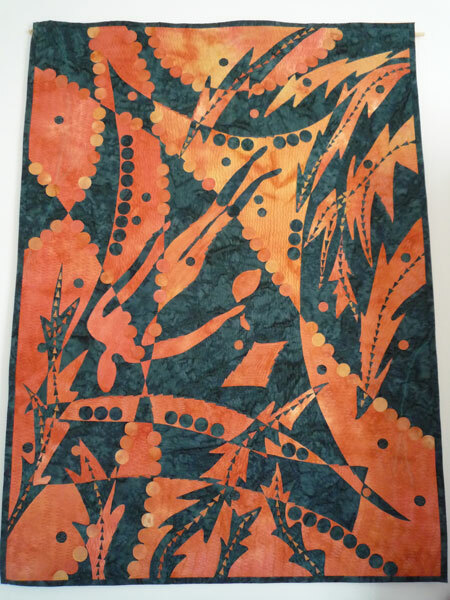 That means that using two fabrics of two different colours, the eh, in this case green and orange, any green piece is surrounded totally by orange pieces and any orange piece surrounded totally by green pieces and in that way when you look at the whole quilt the colours just fluctuate through it. I make my quilts that are counter-change quilts by the following technique. I draw the design out on paper, so I have some small pieces of paper, I don’t know two or three inch square, and I’ll get some ideas, like the shape of the boat or the sails or whatever and when I put those down and when I feel comfortable with what I’ve got I then get a piece of paper the size of the quilt and I draw the main shapes on it. So, in this case I’d have the kind of the rectangle with the curved edges from the sail and then the boat part underneath, and then the figure of the diver on it, plus his little pouch, plus there’s another little square that’s like a mending bit on the sail. I’d have those drawn on the piece of paper, plus around the edges I have some what could be called vegetation. It could be vegetation from surrounding trees or shrubs or anything like that, or it could be vegetation coming out of the sea. So I’ve got some of this vegetation pointing upwards and some pointing down so you get again a kind of a contrast. So if you are looking at it wondering what it is your own ideas can come to fruition, it doesn’t actually say anything specific. So these shapes of the vegetation I also draw in the outline of them so I have the large shapes drawn in and now to get the counter change I have to draw lines throughout the design, not many of them, but going from perhaps one edge of the paper to the other so that I am chopping the paper in large pieces. Some of these lines cross one another and some of them don’t. In this case I think I did about five lines. One circles the top, there’s a couple coming out of the left hand side, one going to the bottom, one going across to the right hand side. So I have all these different lines now in and these lines are going to create the pieces of the quilt. On the quilt there is lots of circles and little circle pieces about an inch and a half wide in diameter and these are representing the pearls. So you just have to think, there’s lots of circles, that gives you the idea there’s lots of pearls which sort of equates with the theme Pearls, Pearls, Pearls. There’s also masses of tiny triangles that are at the centre of the veins of the vegetation and these tiny triangles are giving you the veins of the vegetation but they are also a contrast to the circles. It’s good I think to get contrast in the design because that way it gets more exciting the more you look at it. So I don’t have any of the little triangles or any little circles in the design itself to begin with they are put in afterwards. So I take my large piece of paper the size of the quilt and I take a large piece of material in orange that is the same size and a large piece in green that is the same size, and in the green and the orange I iron Bondaweb on the back of both of them. So I have my paper design, the Bondaweb orange, the Bondaweb green and I pin these together totally. I then take another piece of material an orange colour, it doesn’t have to be exactly the same one but it has to be an orange colour and it is the size of slightly larger than the size of the quilt and that is the base on to which I put my pieces. So I’ll just explain that a bit more. I have my sandwich of my paper design and the orange and the green fabric, which has been Bondawebbed, pinned together, and I start at the top left hand side and I cut the first piece out, following the lines of my pencil drawing. So I get a piece that is a piece of paper plus a piece of orange, plus a piece of green and I decide whether I’m going to have green or orange as the first piece on the left hand side, top left hand side for the quilt and in this case I decided green so I iron the green Bondaweb piece down on to the orange fabric that has not been Bondawebbed and I then cut out my second piece and my second piece will be orange so I am discarding all the time the pieces that I am not using or in some circumstances when I am making the quilts I get two quilts, one that is kind of the opposite of the other, the opposite placement of colours. So when I have that done, I then looked at the quilt and at this point and as I am going through it, it is the first I am seeing of the colour of the quilt. Before that I have got really when I say no idea, no idea is not right, but I’ve not got the real colour in my head as I am looking at it because I can’t imagine how the colours will change going through the quilt. So it is only as I am making the quilt and ironing the quilt together that I am actually seeing the actual quilt itself coming to fruition and it is an exciting time, I like that very much. So when I’ve got it all then I decide where to put all these pearls, these circles of material, what colours they should be and I tend, looking at the quilt putting the green pearls on the orange sails or I’m putting the orange pearls on orange parts of the design which are not the boat itself but are sort of background shapes being created by the counter-change lines. So when I‘ve got that done I iron those all in place I then do the tiny little triangles that make up the centre of all the vegetation. When that is complete and I’ve got the quilt top complete I then add the wadding and the backing. The backing is cotton and the wadding I tend to use an 80% cotton 20% polyester cos that lies very nice and I find it machine quilts really nicely, and I love machine quilting I put masses and masses and masses of it in every quilt I make. It don’t do a lot of preparation of how I am going to quilt it until I have got the quilt sitting in front of me and then I will do it. I use different kinds of threads, in this case I have used some Madeira viscose, I’ve used some 100% cotton and I’ve also used some metallic thread. I also tend to use a very light thread underneath in the bobbin. I’ve forgotten the name of that I’ll have to look that up, here it is I’ve got one here – The Bobbin Line superior thread. It is a very, very fine thread and it seems to take the other threads very thread I never have much problem I don’t have a problem at all really when I think about it, it is very good so I use that. And I just start from the centre somewhere and start quilting. The problem with using Bondaweb is that tiny bits will come off so in this quilt sometimes around the edges the tiny bits have a lot more quilting that would normally go there to hold it in place. Some of my other quilts that I’ve done using the counter-change method I put a layer of organza on the top before I quilt it and you can just spray it with an adhesive and pop the organza on and so you have 4 layers to quilt the organza the quilt the wadding and then the backing and the organza very often changes the colour of the quilt. A white organza or a pale almost see through one is not good to use in this case I would use a red or an orange as it brings out the colour underneath but I have tried with an orange under a blue and ended up with a brown quilt when I finished stitching so the organza makes a difference. So I quilt it all and then when it is completely quilted I put the binding on. BG: There is a lot of work in your quilt. How long do you think it took you to make it completely? JR: I allow myself a year to make any large quilt. It doesn’t always take a year. I can’t remember on this one precisely but I would have allowed a year, particularly if I’ve got a date, a target date I have to meet. I can’t run at the last minute because everything goes wrong if I try to do things too fast, so I allow myself a year. That one would probably have taken me about nine months to do. I don’t actually sit working all the time every day on it. Although I do get withdrawal symptoms if I don’t do a bit of stitching every day. [BG: Don’t we all!] [Laughter] So, yeah, I do allow myself time for it, otherwise I just don’t enter a competition or don’t produce a large quilt. Any large quilts I am making for beds, traditional quilts, would take a year. BG: Do you have any future plans for your pearl divers boat? JR: This one is going to stay at home on my wall here in my workroom. I think I like it and I’ll have it there reminding me about you know the excitement in doing it and seeing it in the exhibition and until I do one that I want to replace it with I think it will sit there. BG: You’re obviously very talented. Can you tell me how and when you started quilting? JR: Sure. I left work, I retired in my early 50’s. It was a case of the recession and therefore I basically lost my job. I decided that I needed a hobby – this is untrue because I didn’t need a hobby, I am someone who is always doing things and going places and I didn’t feel I needed a hobby really but I thought this was a good excuse and I thought I will look out for something to do. Well, we went on holiday to Cornwall for years and years and there is a church at the top of Four Street which every year for the visitors coming has an exhibition and little stalls and things in it. 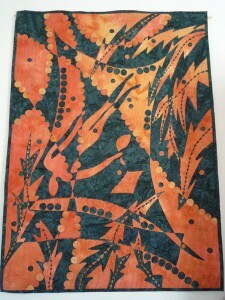 I don’t come from a quilting family, I had really never seen quilts before. I suppose the quilts I saw were my mother’s duvets or quilts on the bed – they weren’t colourful or anything. And so I had not been subjected to any of the wonderful designs you get with quilts. Anyway hanging from the balcony or the choir really, in this church there was a Log Cabin quilt which was beautiful. I can remember the green and cream colours of it, it used Laura Ashley fabrics and I went up and had a look at it and I couldn’t for the life of me work out how the woman had made it and I thought, ‘oh I’m going to do that’. So when I retired I thought ‘ah, I’ll go and have some courses in quilting’. So I went along to a night class it was the time when you could go to night classes you know, so many hours for so many weeks, a couple of hours for so many weeks, and I went along and I was very fortunate in that Dinah Travis, she is a great quilter, she was running the course and she made us go through all different types of patchwork so you had a new piece to do every week. I was still working, it was the end of my time at work and I wasn’t getting home to seven and the class started at seven grab a cup of tea and race to the class and when I got into the class I didn’t get out till nine and gosh with all this sewing that was my kind of day I had to finish it. So each week I had to present a little thing that I had done. I am talking about a little block, they are nothing to me now but then they were very difficult. I finished that and was so delighted I did the course I joined a little quilting group. I had a friend she said ‘why not come along’ and this little group was amazing we used to meet in one another’s house, there were about 12 of us, and we also used to go to exhibitions at that time there weren’t many exhibitions you would have to travel for miles and miles to go anywhere. I lived in Kent and there was a place in Dorking called The Quilt Room and The Quilt Room did do classes and had fabulous material. That’s where we used to go. We used to always also quilt together and one of the girls had a quilting frame, an American quilting frame set up in her room and this was like a real quilting bee you would be round there laughing and joking and doing the hand quilting and half the time you would be pricking your fingers and you wouldn’t know what was what but it was a great introduction. Anyway I decided I would do my City and Guilds then, because Dinah did the City & Guilds in Bromley in Kent and I started it and it was a three year course. In the middle of it, well I retired. My husband, also worked, we both worked for British Telecom, he also lost his job, so there was two of his retired, and we decided we would go to Cornwall where we had been on holiday for years and years and we would go and see if we could go and live in Cornwall. So we bought an old barn in Cornwall that wasn’t complete and we learned a whole new set of skills. I went on a bricklaying course and did pointing and all kinds of things and I had to go up and down between Cornwall and Kent to finish my City and Guilds because I thought I could finish it in Cornwall, which is such an exciting place for craft people but the quality of the tutoring did not compare to what Dinah was doing and there was no way I was going to not finish with her. So I used to go back up Richard’s mother, my husband’s mother was also alive at that time in London and so we used to go and see her anyway so it wasn’t really a problem going back and forwards until I finished the course. I did that and then in Cornwall I found lots of quilters. This guy called Pepe down in St. Ives he had a little shop. His wife Diane I think her name was, she used to take classes and I went there. There was another girl, Jo Colvill, she had The Cowslip Rooms I think she called it, she was a farmer’s wife, and she had fantastic classes and I used to go there. I was getting better and better at doing the quilting and I was invited to make a couple of traditional quilts for traditional exhibitions in museums in the Truro museum. So I did a Baltimore quilt that was black as opposed to white, but it didn’t matter it was interesting and I’ve forgotten it now, I did an American Amish quilt and that went into exhibition as well. 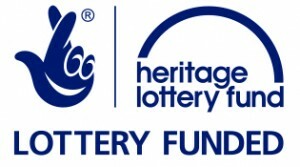 I also helped out at the National Trust as a volunteer and got to know them there. Five of us set up a little group, a little quilting group and we used to have exhibitions at the National Trust that people came to so that was very interesting. Then what happened my husband fell and sprained his ankle and we had 7.5 acres of which a lot went to grass, a neighbour farmer put the sheep in there as well. And I said to Richard, well we had decided we would give ourselves ten years in Cornwall because that would give us up to our 60’s and we knew we would have enough energy, we hoped we would till then. Then I said to Richard ‘10 years is up, you’ve fallen over, we are out in the middle of nowhere in this barn, really we should reconsider what we said we would do at the end of ten years’. So we decided it was silly to stay there any longer in case anything happened so we decided we would sell up, at which point my son decided to get married and he was in Edinburgh and he wanted to stay in Edinburgh and my other son had gone over to New Zealand and he decided he would stay in New Zealand. So we thought, well, we’ll never see either of them unless we get close to one of them. So we said to Anthony we’ll come up and live in Edinburgh what do you think? So he said ‘oh that’s great’. So we sold our house down there and we came up here to the wedding and on the way we decided we would have a look at houses and we found this house on the way home they were being built my son said ‘why don’t you try Peebles?’ so here we are. So I started again in quilting in Peebles and joined a little group. I‘d done so much then I’d started to talk to people at different groups showing them what I’d done, showing them my quilts. The Quilters’ Guild then got a contemporary quilting group going so I joined that and started to make quilts which I exhibited with them. I’ve started since then I think getting older to work more on my own and seven or eight years ago my husband was seriously ill and my two sisters were absolutely amazing. I had decided I wasn’t going to make any quilts for anyone in the family because it’s such a big effort to make big quilts and I like them when I make them and I want to keep them, basically. But I decided I would make my two sisters a quilt each, and they were overjoyed because they always wanted me to but they knew I wouldn’t do it and they wouldn’t ask. So this was lovely and I made these two traditional quilts for them and that made me go into much more colourful work with traditional quilts. Beforehand I had made them as more of a background of a creamy colour, usually the calico and maybe one other colour, whereas I use different colours now. That set me off making quilts for the family and I’ve been making quilts for the family over the past seven years. So I’ve done quilts for my sisters, for my nephews and nieces, for their babies, for my granddaughters and I’m at the moment I am making the last of four quilts that were all the same for each of my four granddaughters. I am still learning and am learning very much by working on the internet, there is a tremendous amount of information on the internet, fantastic number of classes and things you can do and I am now looking again at felting. I did a lot of felting in my City & Guilds work and I’m looking at doing that. I have a felting machine I’ve introduced my granddaughters to them. I’ve bought them felting machines, we’ve had super times together. I have always wanted to make a felted quilt and I think that’s probably where I’ll go. What else have I done? I’ve had quilts that were in books; The Quilters’ Guild I did one for, and I did a little miniature the one and only miniature quilt I ever did I did for a friend because she retired, had her dolls house wanted a quilt, I made a quilt for her dolls house and then I read an article from an Australian girl asking did anyone have any miniature quilts for her book that she was making. So I contacted her and told her about that, so it got published out of the blue really. That’s kind of a quick run through of what I’ve been doing. BG: You’ve obviously had a lot to influence you is there anything specific that has influenced your quilting more than anything else? JR: [Pause] I don’t think there’s any one thing. My problem is my head is always working, you know? I don’t sleep a tremendous lot because lots and lots of things have been going through my mind all day, and whatever’s going through my mind you know I will churn it over and over. So every time I see something that is unusual in my head there is oh, I wonder if I could use that in the quilt. I think probably, shapes are the thing that influences me, unusual shapes or even nice shapes, you know? Shapes of, organic shapes or even shapes that I just make up. Some of the design work that I’ve done and played with, I use paper a lot and I fold the paper and I cut it up and I cut it up into shapes and if the shapes are enticing I will use them I will use them and I’ll cut out material with them and use that for a quilt and work out on that the design and pattern. I didn’t actually tell you about my judging. BG: No, I have it here, I was going to ask you tell me about your judging? JR: Well I suppose that has happened since I’ve been in Peebles. The Quilters’ Guild advertised that they were going to do a judging course and I thought ‘well, do I really want to be a judge?’ Well, I suppose the answer to that is ‘I didn’t know’ or I didn’t know then but what I really wanted to do was I wanted to understand and know what it was that you talked about or did or thought about if you were judging a quilt, because you know you read books and articles and see things on the internet about American quilters and they look at the stitching and they say you know there is seven stitches to the inch or there’s only six and it varies the size of the stitch and I thought, it can’t be that, that can’t be what we’re looking for we must be looking for other things when we look at quilts. So I very much wanted to know what was going on. And I thought if I did this course, again it focusses your attention, you know any course you do focuses your attention for a while, and it would focus my attention on the quilting I would think, and I would benefit from it. So I asked if I could join, and they had me, so it was a distance learning course so you met up two or three times during the course, it was two years, but you had masses of work to do and you put in lots of work at the end of periods and you had a tutor who talked to you over the phone or I suppose you could have gone to see her if you wanted if there was any need for it and I found it absolutely wonderful. I had to do pages and pages of work which of course which you don’t want to do because you are doing things you have already done before but it was wonderful. It introduced me to looking at art much more acutely than I had ever looked at art before. I always have gone to art exhibitions. I very much like pictures, I like art, art of any kind, any year. I don’t dislike any particular art, except perhaps some of the stuff you see today that’s I’ve forgotten what you call it, but, you know maybe there’s a couple of chairs and a sack tied in the middle or something that you have think a lot of what the artist is thinking about you don’t see it immediately. I don’t get any brilliant excitement going whenever I see something like that but all kinds of art I like and this taught me how to look at art and what to look for and to take that and relate that to quilts, contemporary quilts. It is difficult to relate it to traditional quilts, you can do, you can, but it is not I don’t think it’s as easy to do and it taught me to do that so that when I look at a quilt, if I am going to judge it, in my head I’ve got lots of milestones or flags or whatever that I’m looking at and going into and thinking about and seeing if I can see it in the quilt. So it taught me a lot. It also taught me that no two people see a picture or a quilt in the same way, that no matter how subjective or, sorry, objective, you try to be when you are judging, you are subjective to a certain extent because all your life whatever you have done whatever you have seen has gone in to you making decisions and you are making decisions about somebodies quilt. It is also a wonderful privilege to be able to say anything about anybody’s quilt or to write anything about anybody’s quilt. To write down a sentence that says how good or how inexperienced or whatever someone is, is a very, well it’s a lovely thing to be able to do, but you have to do it well and thoughtfully. And it’s very difficult. I have done my judging in the NEC in Birmingham and I’ve done it in the Loch Lomond Quilts as well, and it is very tiring, it’s exhausting, you’ve got to keep the pressure on yourself all the time. You have to be exceedingly fair, you have to talk to all the other judges that are there, you have to come to really good decisions, there’s a lot of effort and work goes into it, and the outcome should be good all the time. It’s not always what people want and therefore there is a lot of criticism comes around, but you know if you want to criticise you should go into it and try and do it and find out just how difficult it is, but how wonderful it is. But I’m not going to do any more in the NEC because it is so tiring, because I am getting old because you are on your feet from eight in the morning to half past five or six at night and if you want to do it well you should have enough energy to do it and I think my energy is now going. So I am glad and I’m very, very pleased that I have done it and I know now when I look at quilts, I tend to know why people have won. BG: Does the judging aspect influence your own making of quilts now? JR: Yes it does because of the design aspect. Before I would design something because I thought it looked alright, you know? Now, I am looking for the scale of things, the change in scale, the repetitiveness, the reason behind the quilt, is the quilt actually… has it got a message? Is it saying anything, do you want it to say anything to anyone or not? So all from that point of view, yes, it certainly has kind of pushed me forward in my thinking. BG: You say you haven’t got a preferred style but is there something you prefer doing to something else – contemporary to traditional? JR: No, well no there isn’t. I’ve been doing all these traditional quilts over the last seven years I mean I could show you the one I’m doing with my granddaughter here, but I’m desperate to do a contemporary one. Sometimes in the middle of it all, I have to take a small piece and try something out or do something. But no, there’s not one thing that I have to do much more than something else I don’t think. BG: So how do you get your ideas, where do they come from to formulate these quilts? JR: They come from everywhere. I haven’t got a way of working that I say I have got to do this and an idea will emerge. An idea just emerges. I love poetry you know and I’ve done a couple of quilts because of poetry. So it can be words that will tell me or it can be the theme that there is for a competition that will do it, or I think it’s just as I said before, there’s too much going on in my head for me to try and split apart and say no, quilting has got to be done like this or my idea has got to come from here, it’s not that, things just occur and I think because I do a lot and I keep doing it, it keeps emerging you know? If I am working on something, I suddenly think oh maybe if I did that I can use that in another quilt, so it’s just things just keeping going. 0:38:06 BG: You’ve mentioned technology, you’ve mentioned the internet, but does technology play a part in your quilt making? JR: It doesn’t at the moment. I think it will do, because I’m kind of interested in the technology. My career was in computing, so computing isn’t foreign to me, but using art and computers is. But I need to find the time to do it, I mean I’ve got an iPad and I’ve got quite a few Apps that are for drawing and for painting and I keep thinking now if I do that and if I can and I’ve tried and I can change the colour, you know could I use that, and I haven’t got there yet. I think I will be forced to do it because I think I will not be going out to exhibitions as I get older and I do intend to keep doing this till I’m 100 or whatever and I think the technology at home is wonderful because you can see so much. There’s masses of different videos on You Tube and everywhere about quilts, and you can hear so much on the internet and there’s lots of internet magazines about crafts and things. So I think that that will influence me more than it has done but at the moment I am still struggling with it. BG: When you are making a quilt what do you spent your money on? Do you have a big stash of fabric or do you have to buy every time? JR: I have a big stash of fabric which I have bought over the years. I haven’t bought so much now. I don’t tend to go out and buy the fabric for a design. I tend to have some of it around. I’ll buy a little perhaps. I spend a lot of money on thread, because I use a lot of thread in quilting and the thread has gone up amazingly in price since I started quilting. I don’t have many gadgets. I have a couple of nice machines. I did have, another thing I didn’t tell you about, I did have an embroidery machine. I decided that I wanted to know why the Americans were putting embroidery into the quilts, which I think they were before anyone in the UK was doing it. And I thought well if I get an embroidery machine that will help me. So I went to Edinburgh I went into the sewing machine shop and talked to the guy about an embroidery machine and he reckoned the best one was a Bernina. Well I work with Pfaff machines and always have done. Anyway, I bought a Bernina and it was an embroidery machine and I took it back within a month because I didn’t like the way it was working. So the guy was very good and he wouldn’t give me my money back but I could choose another machine. So I got a big Janome embroidery machine that you could actually use for work, you could use as a textile artist, you could go into making your own whatever with it. So I got one of these to see what it was like and I downloaded loads of designs from the States and this machine produced wonderful embroidery, absolutely wonderful embroidery. I also bought the software so that I could make my own designs but it’s a terribly steep learning curve and I didn’t really achieve it because it just took too long and all this learning and doing the embroidery was taking away from my quilting and my quilting is my first love so I was you know, I wasn’t really at home with it but I did make an embroidered, a couple of embroidered quilts which I think are amazing things. But then I sold the machine because I felt I’d had it for three years I think or four years was it. It sat for a year and I did nothing with it and it was a shame to see that so I knew a girl that was interested, a local girl and I sold it. So I suppose I spent my money for a period on machines. And I suppose if anybody comes along that’s what I’ll spend the money on. I’ve now got cutters, where before you used to cut the material with your scissors or just using the green mat and your rotary cutters. Now I’ve got cutters that you feed the material into that cut the material. And I’ve got one that does card and makes unusual 3D cards. I think maybe I could somehow or other put material into this but these all take time and in the middle of all this you see I have grandchildren demanding I make little dolls and things which I have never done before but which I have to sort of do. BG: Is there anything about quilting that you don’t like or you don’t enjoy? JR: I don’t enjoy the commercialism that goes with exhibitions where there’s people selling all kinds of stuff and you have to buy this because it measures whatever and you have to get this because no other ruler will do that. I find all that is tremendous hype and is very expensive and I know it goes with everything but I would say that particular thing I don’t enjoy. BG: I was thinking more about the quilt making aspect rather than the commercial side. Is there anything about quilting that you find a chore? JR: Well I have made quilts for charity with others. I wouldn’t do it again. I would find that a horrendous chore. The reason would be because I know whenever I am cutting the squares they are all going to be the same size, they may not be put together correctly but I have got a good idea that the thing is going to work and I know how to make a quilt lie flat, I know how to make it hang. When I’m working with about 50 other people and we’re all trying to make a quilt for charity the result sometimes is just not good and I don’t feel comfortable that I have contributed to that. BG: So when and where do you quilt, do you quilt at home or with other groups? JR: I don’t now. I have done in the past, yes. Now I just quilt at home. BG: Do you have a quilt routine? JR: No. Sometimes I’m sitting in my nightie quilting away like mad up till about midday. Other times sometime in the afternoon I start, maybe in the evening. I don’t quilt into the middle of the night, into the small hours anymore because I am too tired and I can’t actually achieve that but no, I quilt when I feel like it and I am lucky to be able to do that. BG: I know you are a member of The Quilters’ Guild and you’ve got a quilt in the Quilters’ Guild collection, how did that come about? JR: That was purely by exhibition. I had, it was the start of my counter-change technique. I had been working with some girls in Cornwall and I loved the North Country quilts, the red and white North Country quilts, just the stripes only stripes. And I thought I would make one of those, a small one. I knew it didn’t take a lot to make it but when you look at these North country quilts they are different sizes, different widths, there’s just something about them that is simple but really love and I thought I would do one and I love red and white. So I started to make one and then I don’t really know what it was that made me think there should be a shape of something in this. I wonder if I add something to it to take it away from this plain just stripes, and that’s when I looked through lots of old patterns and found an applique pattern of two geese and I thought I will put that in this red and white quilt. So I did two red and white quilts one starting with red stripe then a white stripe then red, and one starting with white, then a red, then a white then I put one on top of the other and then I put the shape of the two geese. I drew it on the front, I think this is how I did it so I did a reverse applique by cutting out the top fabric and sewing the edges onto the bottom fabric and so I had the geese, the shapes of the geese, but because the geese was red and white striped I got this red and white geese but they were the opposite to what their background was so the background would be white and the foreground was red and that… the result of that I found quite exciting. So did my friends which was rather nice and that started me out on the counter-change. But I put the quilt into exhibition in a competition for The Quilters’ Guild in the NEC and I really hadn’t thought much about it this exhibition and I was really pleased that it had got in and I didn’t think any more about that either and I went along to the NEC to see the exhibition and I walked round all the quilts and there was mine hanging. I remember meeting my sister there, I’ve got a sister down in England I remember meeting her there and I came home after the exhibition and I thought gosh my quilt was so different looking to the others that were there. Now I had gone to the exhibition before they had actually managed to put up who the winners were so I didn’t know who the winner was, and nobody told me till several weeks, a week and half or something later, and I was expecting to get my quilt back and I got a phone call from someone I knew in The Guild who said ‘congratulations Jo’ and I said what for? So she said your quilt won. So that was lovely. So I am now much happier when I go the NEC quilts with the winner on them, then I think it was early days. So that meant that I lost the quilt and that The Quilters Guild kept it. It did mean that I got a sizeable amount in exchange and does mean that lots of people see the quilt and it has its own little journeys around exhibitions and in books and things which is lovely. BG: How does it make you feel seeing your quilts on display? BG: What do you think makes a good quilt, or a good wall-hanging? JR: A good quilt? [BG: Or a good wall hanging?] Well I think for me I’m looking for something that I wouldn’t be able to achieve, so I am looking for something that gives me a lot of excitement seeing it, you know? A use of a different colour, a different shape, not so much the different materials. Lots of material, by materials I don’t mean fabric. I mean all kinds of like, Lutrador and painting and stuff that people now put into their fabrics, like collage them and what have you. I find that interesting but to me not perhaps good. I think it’s got to be a great design, something that I have to stand and look at for a long time, I have to go back to see again, and you know, again, in the exhibition. Not find that I’ve only seen it once. The workmanship has got to be good. I would not say it has got to be perfect because I’m sure there is very few people really get 100% perfection, but it’s got to be really good. You’ve got to go and see closely and see how the stitching is put together, how the folding is done, how the piecing is done, or whatever. It’s got to be something that you feel the quality or I feel the quality is really great and that I feel I would have, it would be a big challenge for me to attempt it. BG: So do you look at a quilt different with a judge’s hat on that you would to normal? JR: Yes, yes, I do, I do. If I’m looking at quilt to see if I like it or if it is good or what have you on my own feelings you know, like ‘oh God I hate that colour’ therefore I can’t look at that quilt. And there are colours and combinations that I would never use and would find not pleasing, and I don’t mind then, to myself, being really critical if I am looking for something that is exciting that I want to see whether the quilt is for me good. If I am looking at a quilt for judging purposes, I have my set of rules of how I will look at that quilt. I’m being as fair and as impersonal as I possibly can be while I’m doing it so yes, there is a difference. I mean the outcome might be the same in that I find that you know that in judging that there are some wonderful quilts that I look at but I’m looking at them in a sense of judging, judging their position within a particular exhibition. BG: What are your views on hand quilting versus machine quilting versus longarm quilting? JR: Personally I don’t care. There’s all kinds of quilting, and I think you get super results using all of them. I really wish I had a longarm quilting machine, and the space to use it and in fact if they had been out when I was much younger I would probably have gotten one. I don’t like the longarm machine being used for repetitive pattern. I think it’s a tool that you should use to create your own designs in the quilting. I think it’s a fantastic thing and I think if it gives you a good result you like that is great. I love hand quilting. Hand quilting with thick threads, you know? Perle embroidery threads produce fantastic indentations in the materials and that on top of machine quilting is lovely. But to do that on top of machine quilting is more time consuming, it depends how long you want to spend doing it. But I love, I love machine quilting. I’ve always loved machine quilting. When I did my City and Guilds my quilt was machine quilted and Dinah said to me you will never finish and I thought well I will. I broke 35 needles doing it. It was a big double bed quilt. I think I did that because the material was upholstery material and the quilt was heavy and I was pulling it, so I was pulling it through the needle would break the needle but I kept doing it so that I learned how to do it fairly early. Oh, I love all kinds of quilting and I don’t really mind what kind is there. 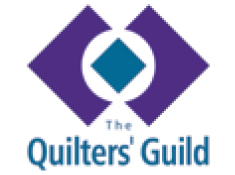 BG: What do you think is the biggest challenge you face as a quilter today? JR: I think the biggest challenge is having to listen to other people, you have to do what they want to do. You should learn by your own experience and results and decide whether you like what you can do or not. I mean you should really go, anyone wanting to learn quilting should really go and get lessons or get help, so that they don’t spend so long trying to find out on their own, so that they can get a bit of speed up in doing things. And there are you know, lots of people that will give you lessons. But I do think you shouldn’t listen too long to someone who says you’ve got put this kind of binding on or you’re not allowed to use this kind of thread or why have you not got any wadding here. I mean, it doesn’t matter. You have to do what you want to do and produce the kind of item or quality that you wish to do that you are happy with and I think that is the pitfall. Everybody has an opinion today and are terribly keen on telling you their opinion and you know, about all kinds of things, but I have seen quilters put off, not doing any more because of the comments that are being made and that is just not necessary. BG: What do you think your biggest challenge is? JR: Ha! What is my biggest challenge? BG: Or what are you going to challenge yourself with next? JR: Well, I have to keep learning. I’m always amazed at the difference that happen in quilting, as quilting keeps changing. I mean there were no longarm quilting machines, no painting in quilting and that has all come in and I find them amazing how it changes and what wonderful effects it has. I have to decide I suppose, my challenge is whether I will ever leave the fabric material. Fabric is the tool if you like that I use. I don’t make paper quilts, I don’t make metal quilts. I’ve tried to do rubbings, you know to make a quilt. I’ve tried to paint them. I am not happy with the results and I’m not comfortable with them whereas I’m comfortable with the thread and with the fabric. So I suppose a big challenge to me would be to consider stepping out of that and trying something to see if I could achieve. I mean I did get in the embroidery quilt, I did make a good quilt and I do want to do a felted one. But they are little challenges really, I know I can do that. Could I do something that used a different kind of material, I’m not sure about that. What I did have for my 70th birthday my sisters gave me a class in enamelling, and I loved it. The problem is you need heat and where would I put it would I have this little kiln down the garden somewhere, would I be able to work down the garden I wouldn’t want it in the garden, maybe the back room somewhere. But I love it and the little quilt there with the two little mice on it I took it and did a broach for myself with the little mice in it so that is a design out of a quilt that I have taken and put into the enamelling. I would love to be able to do more of that, that could be a challenge. If I could make an enamelled quilt, there we go. I would find that really a challenge. Now you’ve set me off, I may have to think about doing that, so there we go. BG: Well it’s been lovely to speak to you, I have one final question. Why is quilt-making important to your life? JR: I started off with it as a hobby and then it kind of overtook me and I got really involved and empowered I suppose by it. I think as you get older, I don’t know if it’s so much important whenever you are younger, but as you get older you need your own space, always. I mean I know with family and that when they come you haven’t got two seconds to yourself, but normally during the day you need your own space. You need to be able to do something for you because that keeps your mind active and also relaxes you. And that way you can then face this business of living and getting old and getting on with changes that we have. When I quilt, I relax, I just move out of this world completely and I’m totally engrossed in what I am doing, and that is I think very important, and that is a wonderful thing to be able to say quilting does it, but it does. BG: Jo, thank you so much for speaking to me today and for taking part in the Talking Quilts project, it’s been a delight, thank you. JR: That’s terrific, thank you Barbara for coming. You’ve just let me talk on and on you know, but thanks again that was great. BG: It has been wonderful listening to you.